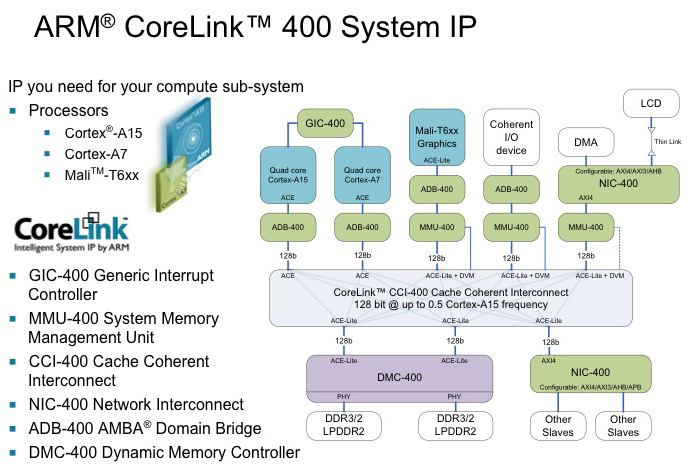 Our experts are ready to discuss issues relating to performance analysis and functional verification of SoCs containing advanced interconnect IP. 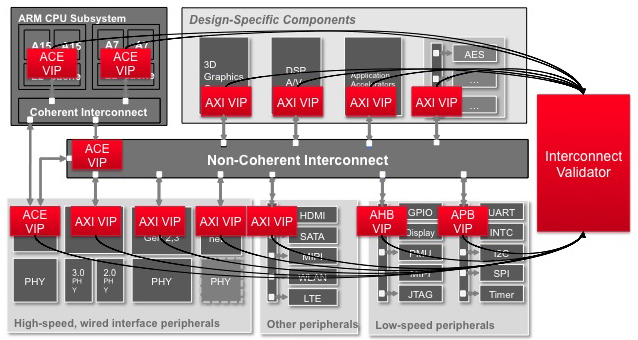 Steve, can you give some examples of what is meant by “interconnect IP”? Do you have some type of video tutorial? 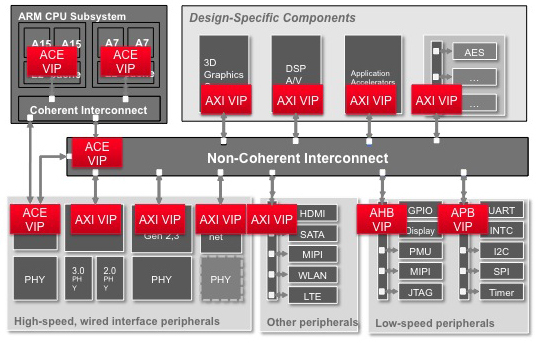 For example, here’s an ARM diagram showing their interconnect IP components. 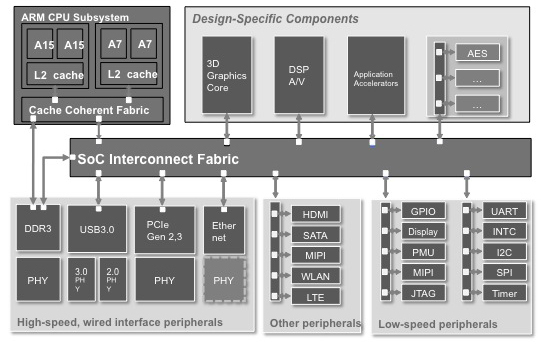 So what kind of issues do people run into when designing multi-core SoCs? Does Cache Coherent interconnect contains Caches/Memories inside? Avi, help us understand the first issue – functional verification. The Interconnect Validator collects all the transactions and checks for things like data splitting, upsizing, and downsizing. It supports various addressing schemes (FIXED, ICR, WRAP) and is able to resolve ambiguous scenarios such as multiple masters accessing the same slave at the same address at the same time. For coherent interconnects, these types of operations are checked: verification of snoop conversions, snoop propagation, snoop filter operation, checking of cross-cache line operations, basically making sure that the cache-coherent interconnect performs its role as the Coherency Manager correctly. Does interconnect validator verify data on transaction level or on byte level? Thanks! Now let’s get back to performance verification. Nick, help us understand why performance verification is so important. Can an Interconnect run into a Functional Deadlock scenario? If yes how to catch this in Verification? God question, who wants to answer?